When you visit a webpage, you receive a security certificate error Windows 10 that reads “Certificate Error: Navigation Blocked” or “Privacy Error” on Google Chrome, Firefox, Microsoft Edge or Internet Explorer. 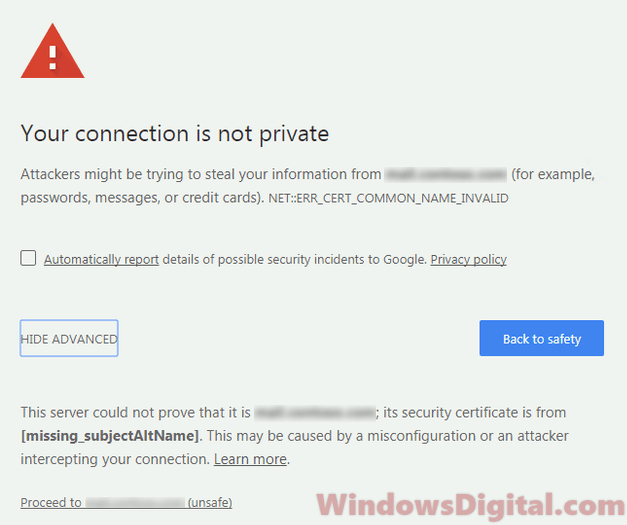 This post explains what security certificate error means and how to get around the problem on browsers such as Google Chrome, Mozilla Firefox, Microsoft Edge and Internet Explorer in Windows 10. To understand the problem, we first have to know what HTTPS and SSL are. HTTPS is the secure version of HTTP which allows encrypted communications between your browser and the website. This is to protect sensitive data such as your credit card information and personal details when you are on websites such as e-commerce shopping sites. These sites which require users to enter such data will usually have HTTPS. Depending on the situation of the problem, if only certain website is showing the security certificate error navigation blocked message on your browser, it may imply that the website’s certificate is either expired, or its certificate info is invalid or incorrect such as the security certificate for that site doesn’t match the site’s web address. 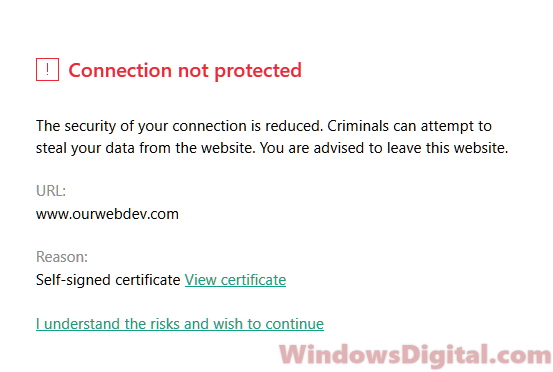 This will cause your browser (Chrome, Firefox, Edge or IE) to return the certificate error in Windows 10 to warn you about possible data vulnerability when you access to the site. In this case, you can either choose to leave the site immediately or continue to this webpage at your own risk (usually not recommended by the browser). The certificate error will also show up when you forcefully visit to the HTTPS version of a webpage when the webpage doesn’t have an SSL certificate. You can try to visit to the HTTP version of that webpage instead and see if it works. When entering data such as your credit card info, we suggest you to only trust a site if they have HTTPS and that the HTTPS is accessible. Never enter any sensitive data in webpages that are not protected by HTTPS. Some news updates: Effective July 2018, Google Chrome will mark all websites without HTTPS as “not secured” according to Google security blog. Thus, if you’re visiting an HTTP site that usually works before July 2018, Chrome may show you the privacy error or certificate error instead when you visit to the same site. Despite this, you can always choose the continue to this webpage at your own risk if you trust the site. The certificate error is there to warn you about possible data theft if entering data is something you would normally do on that site. If your browser is showing certificate error on all websites in Windows 10, the cause of the problem is most likely at your end. There are several common reasons which can cause the certificate error to show up regardless of websites in your browser. We have listed the possible causes and their solutions respectively below. Check your date and time and see if they are correctly set. Incorrect Windows 10 date or time will cause your Chrome, Firefox or Edge to show security certificate error on all websites. Difference in minutes should be fine. If the time is days or even years away of the actual time, the security certificate error will surely show up when you access to any website. This is especially common after Windows 10 update and on Skype business. 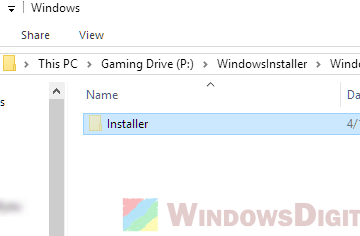 To check and adjust the date and time in Windows 10, move your mouse cursor over to date and time where usually shown at the bottom right corner of your desktop screen. Right-click on it and select adjust date/time. 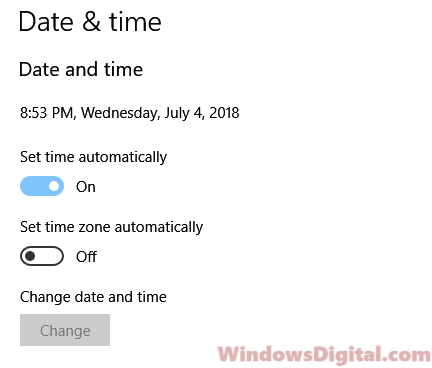 Select the your time zone and enable the “Set time automatically” to allow Windows to sync the date and time with its server. 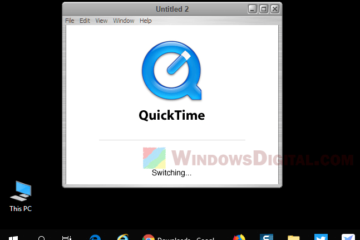 If it fails to sync, set the date and time manually but clicking on the Change button. Old cache that are supposed to expire but still getting fetched by your browser will cause the webpage to return security certificate error. 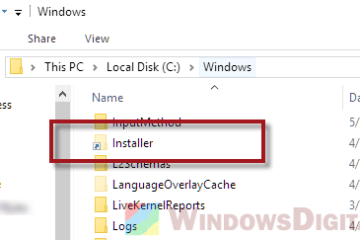 Clearing the cache may help to get rid of the certificate error in Windows 10. Check this link – Your Connection Is Not Private Error Google Chrome, to learn how to clear browsing caches and cookies in Google Chrome or other browsers. Software such as antivirus or firewall program may be blocking site’s HTTPS request and cause your browser to show security certificate error in Windows 10 if your antivirus is blocking the site or connection. 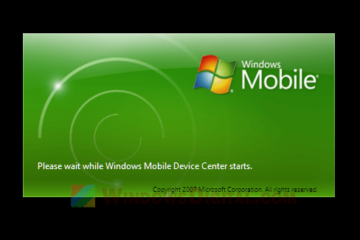 Try to temporary disable your antivirus and firewall program and retry to visit the website again. Try to disable all your browser’s extensions to make sure nothing is interfering the establishing of HTTPS connection between your browser and the website. You may also want to try to open the website in incognito mode on your browser to see if the security certificate error will still show up. Listed below are how the security certificate error looks like in different browsers. We will show you how to ignore the certificate error and continue to the webpage, only if you trust the site despite the certificate error (at your own risk). In chrome, when the certificate error appears, it will show up as “Your connection is not private” with possibly an error code like ERR_CERT_COMMON_NAME_INVALID or ERR_CERT_DATE_INVALID. To continue to the webpage at your own risk despite knowing its certificate has a problem, click on the Advanced link. Then click on Proceed to the website (unsafe) link. 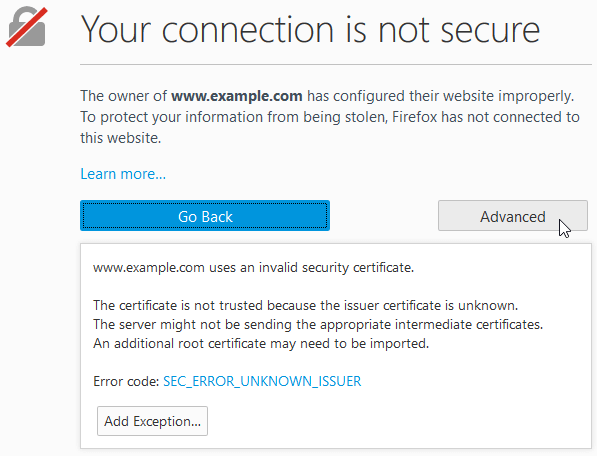 In Firefox, the security certificate error will usually show up with the title – “Your connection is not secure” or “This connection is untrusted“, with error code such as SEC_ERROR_UNKNOWN_ISSUER, SEC_ERROR_CA_CERT_INVALID, SSL_ERROR_NO_CYPHER_OVERLAP or SEC_ERROR_EXPIRED_CERTIFICATE. To continue to the website (at your own risk) if you trust the site despite the certificate error, click on Advanced, then I understand the risk and wish to continue. Sometimes Firefox will show a different certificate error screen based on the antivirus software you are using. For example, if you’re using Kaspersky antivirus, you may see the screen above. 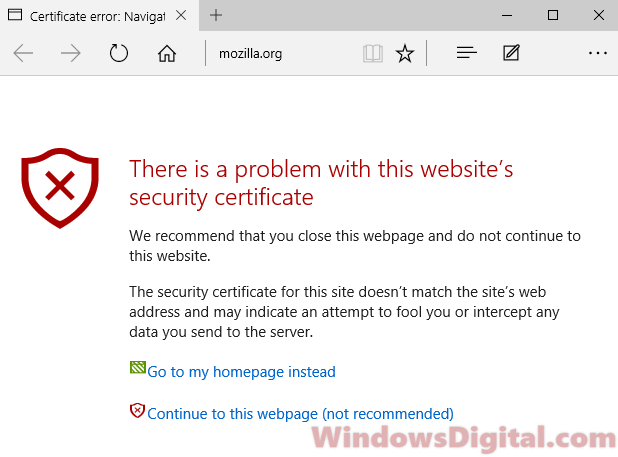 In Edge or IE, the certificate error will show up as Certificate error Navigation Blocked – There is a problem with this website’s security certificate. You can choose to either “Go to my homepage instead” or “Continue to this webpage (not recommended)”. 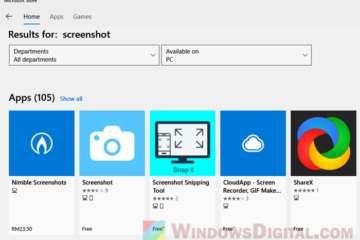 Description for sharing: Read this fix if your browser shows Security Certificate Error Windows 10 on all websites in Google Chrome, Mozilla Firefox, Edge or IE .